SLOTTED/FLATHEAD: This is the original screw drive. You find these everywhere, though the practice of using screws with slotted drives is on the decline because the screwdriver slips out of the slot, particularly when you are applying heavy torque to really tighten down (or loosen, for that matter) these types of screws. PHILLIPS/CROSSHEAD: This screw drive type is very popular - and again, you find them in a very wide range of applications. Common sizes are Phillips #1, #2 and #3. The most common Phillips size is #2. SQUARE: Square recess are being used more and more as they are very resistant to cam-out, which is a fancy way of saying the tip of the tool does not slip out and mar the screwhead very easily. Commonly found in two sizes: Square #2 and #3. POZIDRIV: This screwhead isn’t seen very often in the U.S.A., though it is very common in Europe. It looks a lot like a Phillips screwhead, but it includes 4 more contact points. Common sizes are Pozidriv #1, #2 and #3. In addition to the different types of drives, there are a variety of head designs, each meant for a particular kind of job. Flat head screws are typically found on wood screws that are usually countersunk, pan heads grip one part to another with considerable force and so on. Most wood screws have a common "pitch" to the treads, but some have a thread with a steeper incline. We simply call this a "fast" thread, but they are technically Type A screws.Think of this as a road going up a mountain; the steeper the road, the sooner you get to the top. Also in reference to threads you will see "8-32". This is the common knob and pull screw thread. The "8" refers to the size (diameter) of the screw, and the "32" means it has 32 threads to the inch. Most of the screws for mounting hinges are self-tapping (they tap their own mating threads in wood) type AB (they have more threads per inch and are more effective in brittle materials like wood than Type A). Threading on the shank is designed specifically for wood; wood threads have a tapped screw while sheet-metal screws have mainly a parallel thread. Wood type screws are also normally used for securing into wall plugs. Screws for chipboard usually have 2 threads the full length of the shank. Thanks, this is really informative. My local hardware owner will not know the English terms. I plan to take a print out of this to show him what I need the next time I go there. I also prefer to go for stainless steel screws for woodworking as opposed to the usual galvanized iron ones. Do you think that is an overkill? Nope. I prefer ss screws myself. Look cleaner, feel stronger and don't rust. Arvind, I use Omni screws which are pretty good but there are several other manufacturers making good ss screws these days. I've been using brass screws to fix brass hinges on my windows. Would you suggest SS is a better option? Thanks for your comments. Brass screws are fine, especially if they are good quality. But brass screws are not very strong, certainly not as strong as steel. But if you have been using brass screws for your window hinges without any problem that is absolutely fine. I am from shimla and just picked up woodworking as a hobby. Thank u for starting such an informative blog. It has been a great help in chosing my hardware. Where can i buy philips head wood screws in different sizes online as they are not available with any hardware store in shimla or chandigarh. Don: For some reason Philips head wood screws are difficult to obtain in India, There are plenty of good stores in Chandigarh where you might try. have tried in chandigarh but not been able to find them.. Sorry to hear that. I am searching for the same in Delhi/NCR. Will let you know if I find a source. Better to use regular screw driver for slotted screws. Sir any violation due to which my last post was removed? Indranil, thanks for putiing this up. Phillips screws are available in small quantities in some shops in Mumbai. I found driving screws into wassl with my drill machine (Bosch GSB 13RE) to meltdown the cheap plastic Rawl plugs and adapt to the threads of the screw and the wall. This secures the screw as well as the teakwood plugs. My Bosch electric screwdriver does not hold charge anymore and has to be used wired only. Reserved only for the fairings on my bike now. Not a recommended buy. Do you recommend using Screw Extractors to remove stripped screws. Any other options? Himanshu: I have found using screw extractors to be pretty tough but I cannot think of any other alternative. What is wassl, by the way? I can find Philips head screw easily in Chennai. I just bought them form nearby hardware shop for my first project. Let me know if you need any help. Also they are readily available in most of indian industrial ecommerce sites. And thanks for this informative post. 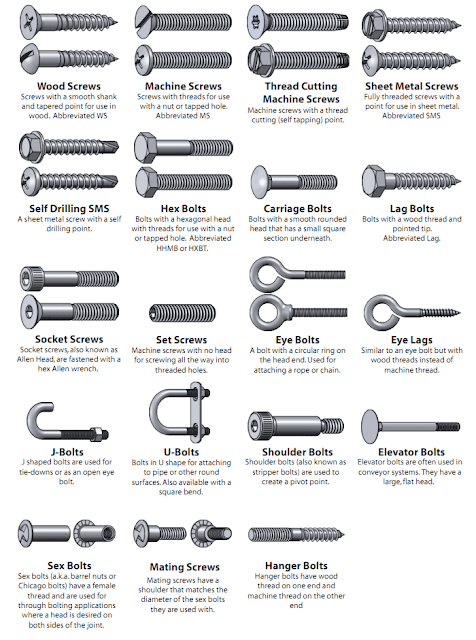 Thanks Indranil for posting the information on screws. I now have a better awareness. I am now in the process of taking woodworking as a hobby and your blog posts have been very helpful in understanding many aspects related to woodworking. Are you aware of any woodworking hobby group or individual in Coimbatore? Thanks Raj but I don't know any woodworking enthusiast in Coimbatore. However you could contact Vinay Oommen (vinaytoommen@gmail.com) who is based in Vellore. He might be able to help. Great work! Awed that you were prompted by this blog to take to woodworking. Wishing you happy times in Coimbatore. Thank you sir, the issue was getting tools. i was initially based out of hyderabad and struggled to find simple things like drywall screws in the sizes that i wanted. I cant find kreg screws and use drywall or stainless with a small washer. i prefer stainless because the drywall has very less shear strength and tend to have their heads break off :).. I recently acquired Kreg K5 pocket hole system from US. But than I realised pocket hole screws are not available in India. Getting them from US is turning out to be expensive affair. Is there any alternative available in India?. Are they available online. I stay in Manali , Himachal. Unfortunately a lot of us have been grappling with the same problem. There are no suppliers of that type of screws in India. People make do with regular chipboard screws with washers. Thanks. Avoid buying anything Chinese. Extremely useful information. first time i got all the information in one page. i am just beginner. where i will get info about what size of screws for different size plywoods? Go to your neighbourhood hardware market. 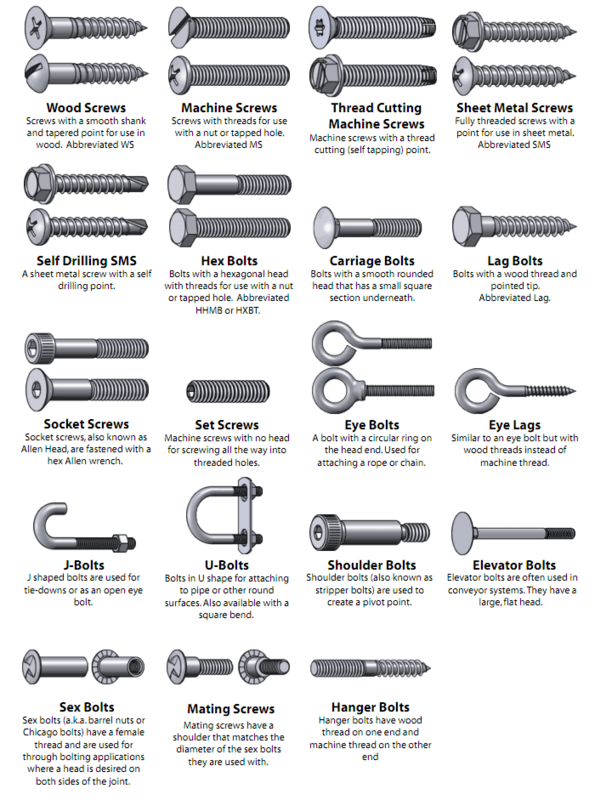 There are 3 specs to look for: Thickness of screw, length of screw and head type. If you intend to machine drive the screw (I strongly recommend) using an electric screw driver or even a drill machine (provided you have a sensitive control over the trigger) i suggest you shift to the Phillips or Pozi screw heads. Sadly these are currently mostly available in Stainless Steel unless you are willing to pick up a bulk pack. You cannot drive standard slotted screws easily with a power tool. My first suggestion is that you start collecting all the unused screws and Rawl Plugs that come with various appliances and gadgets that you buy and sort them into a box with length and number labels. These should suffice for a home DIYer. My collection was expanded by simply purchasing the missing sizes. I am using the Makita TD0101 impact driver (too fast and too powerful at 100NM, Rs 4400) and the Bosch GSR ProDrive Professional Li (Perfect, Rs 3300). Both can happily drive 3" long #6 screws into wood without a pilot hole, although i wouldn't recommend working without a pilot hole. My only job at DIY is to maintain my interiors and prevent major expenses with the proverbial "stitch in time" apart from minor equipment repair. Excellent observations, Himanshu! Very helpful. Please tell us more about your experience with the impact driver versus the normal cordless drill driver. We have been told screw driving is best using an impact driver but your experience suggests otherwise. Please share your experience. The Makita TD0101 is one hell of a heavy duty machine, being quite an old model. 100NM torque is plenty to open up old rusted screws and bolts, but it is also capable of breaking the screw straight off if it does not budge. You need to have very good trigger control to regulate the speed. It revs up all the way to 3600 RPM which is way too much to control. The rotary impact gives a high final tightening torque so you rarely manage to drive the screw further manually, thereafter. It is fairly noisy, though when it start impacting. The impacting action only starts when the screw runs into some resistance. Being wired and without a working light, it has some limitations. The power cord is extremely thick and sturdy. I have used it to open bolts on my scooter that refused to budge by hand. So it is a God send. The Bosch GSR ProDrive Professional is a small, efficient, quiet little machine by contrast and has much lower torque and speed. 7NM of torque and a 250 RPM top speed. Sweet spot. 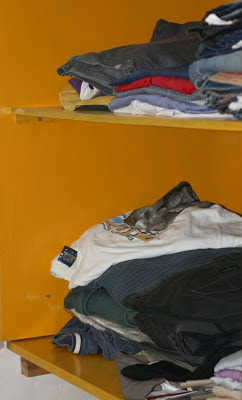 It however suffices for small DIY jobs around the house. The Li battery holds charge months later and even for a year. It is an old model costing the same as the IXO but much, much better built and more powerful. The working light and variable speed help. It is small enough for driving screws in tight spaces that are only possible with a stubby ratchet. You may need to tighten a turn or two manually after the Bosch stalls. With the Makita, you have to learn when to ease off the trigger finger in time. It is capable of driving the SCREW HEAD right through aluminium, causing much distress, apart from a large hole to patch. I prefer the Bosch for regular light work and the Makita for heavy driving. If i had to choose any one, it would be the Bosch. There are few applications that i need to reach for the Makita. For women I would rule out the Makita totally. Too difficult to control and a little heavy. I would recommend looking for 18V or 24V drivers with a torque control mechanism rather than an impact driver. At least you can rapidly drive screws at top speed knowing the machine clutch will disengage well in time. This is an edit to the above post. There are a few things I have learned along the way as I have used various Drill Drivers. Impact Drivers definitely have one major advantage in that they do not CAM out of Philips head screws as easily as a regular Drill Machine, corded / cordless Electric screwdriver. The reason is the free rotation is halted when the screw reaches a certain tension and the rotary hammer kicks in which taps the screw incrementally into place. I have also used a drill machine to tighten screw as well as the other smaller drivers. They both tend to Cam-out and damage the screw head and / or the driver bit if one is not careful. The Impact Driver is more idiot proof in that respect with the flipside of the destructive power of the uncontrolled high torque. For opening and refitting of old rusted nut-bolts, as while replacing capacitors in fans, again the impact driver outshines other drivers. The impacts do help to un-jam the rusted components without damaging the heads as much. Reseating the nut-bolts completely to their final position is also much easier accomplished. Even Slotted screws CAN be driven with some difficulty, provided that the slot is clean and deep, and YOU MAINTAIN A POSITIVE STRONG PRESSURE ON THE BACK OF THE DRILL MACHINE / DRILL DRIVER DURING THE PROCESS. Pressure that may be to the tune of you leaning on the drill. It works. Do try practicing driving screw with a corded / cordless variable speed drill machine too. It has the potential to do so with a little bit of practice. Just guard against cam-out. Friends, after months of sitting on the fence, I went out and bought the horridly expensive Fein Multimaster FMM250Q Oscillating Multitool. All i would say, is, this is one tool that can take up the job where others give up as far as access and versatility is concerned. It is a wood workers delight. It is a DIYers dream tool. Sadly, it has received very little attention, let alone affection in India. The Fein is totally manufactured in Germany and screams build quality. They invented the multitool way back in 1967 as a 3 degree oscillating saw to cut plaster casts of fracture patients WITHOUT CUTTING THE SKIN. Yes, you cannot cut yourself except with the wood cutting blades. Suffice to say, it should last me the rest of my life considering I am 50. You have similar products at different price points from all major manufacturers. Do you need it? After you own it, you will wonder how you ever managed without it. Another cheap tool i would recommend is the Black and Decker Orbital Palm sander (quarter sheet sander) At about Rs 2500 it is highly affordable. You can buy a standard sheet of sandpaper off the local market, carefully fold into 4 and meticulously tear using a steel ruler or an old hacksaw blade. Since it uses a quarter sheet of sandpaper it is called a quarter sheet sander.Iit has two clips to hold the sandpaper securely in place and a punch to help punch holes for the dust collection. Sanding is fairly simple and efficient. Most dust accumulates in the dust bag that is included. Do empty it regularly. A brown Cumi abrasive pad (coarser version of Scotchbrite) when cut into 2 attaches to the Velcro base of the machine. This is a super efficient way to remove stains from your bathroom tiles. Just moisten the stained tiles with a solution made from dishwash liquid. Keep the machine and pad dry. Run 2 passes with the machine horizontally. Bingo. Just avoid getting any water sucked into the machine. You can use it to do wet sanding as well with the precautions given above. A felt cloth also attaches to the Velcro plate. With metal polishing compound, I have buffed off the scratches from my bathroom fittings. Shining OLD Chrome. Many thanks for your terrific reviews. I am sure it will help hundrerds of DIYers. I went out an bought the Bosch GWS 850 CE Angle Grinder 5 Inch Variable Speed at Rs 4200 from a local store. The variable speed is a force multiplier in that it enhances control and helps double as a polisher / fine finisher tool. Although double the cost of a single speed device, the increased applications save you the difference and much more. The control at low speed is exemplary considering how unwieldy a standard single speed grinder is. I got a tapered cone to fit the M14 direct from Abdul Rehman Street, Mumbai for Rs 200. This is a standard mount for any polishing mops, wire brushes and cotton buffs. This could be used to polish anything from acrylics, plastics and metal anywhere with superb control at the lowest speed on the machine. This mode gives better control than using a felt disc on the original arbor, without "throwing the machine" of that could potentially damage the object or hurt the operator. I polished the polycarbonate windscreen (Bubble) on my Yamaha R15 motorcycle with it to remove the scratches. You can also polish your dulled car headlights to restore a new look. 1. 3mm M10 mount velcro backing pad. I have mounted fine sandpaper disc to smoothen wood. I have mounted sponge pads to polish my motorcycle paint. 2. 5mm M14 mount velcro backing pad. Same uses as above. My experiment with diamond polishing pads to polish granite failed miserable. Either my ineptitude or the pads. I dunno. The larger diameter works faster but offers less control since the angular forces are greater. 3. 4" felt polishing pads for the M10/M14 mount. Superb polishing tool for metal objects. Chrome/Nickel. 5. 4" Fibre wheel (M10) to strip paint from metal without so much as gouging the metal substrate. Also good to restore the "soft brushed finish look" on stainless steel objects like wrist watches and cooking ranges. The flat surface finish or contours are not disturbed. 6. 4" Scotchbrite type material wheel (M10) to get a "coarse brushed finish look". If held too long, the surface will lose its flatness or contour. It works like sandpaper to some extent. Good to strip rust from smooth surfaces and smoothen them. More aggressive than a wire brush. Hope you find it useful and easy to implement. This has become my most used tool ahead of my power drill now. I like to read this blog. You shared a wonderful information. I really like your blog and love to visit again. Online hardware shop in Singapore. Thanks for sharing. I have found a good source for Screws and bolts. He deals only in packs of 100 or 200 but the prices are very good. Hope this would help out the woodworkers on this blog. Metric Size mm Inch Equivalent. Just reformatting the above post to read correctly. 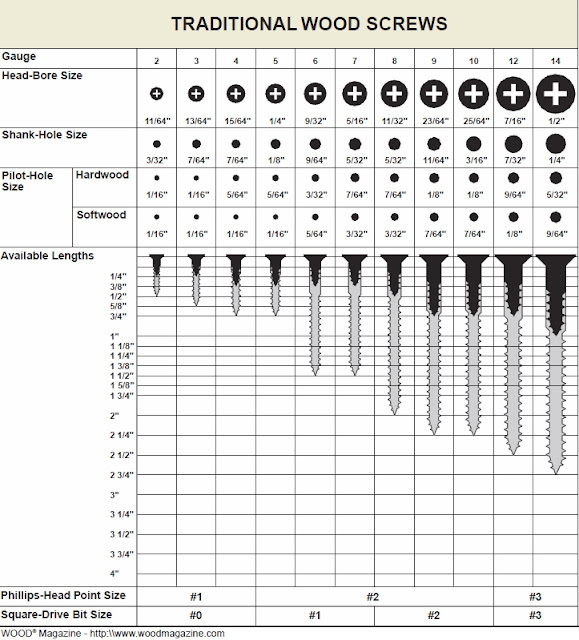 A handy chart for converting metric screw (mm) sizes to imperial (inches). Metric Size mm > Inch Equivalent.